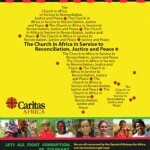 After a three-week Vatican meeting, the Special Synod for Africa has ended. 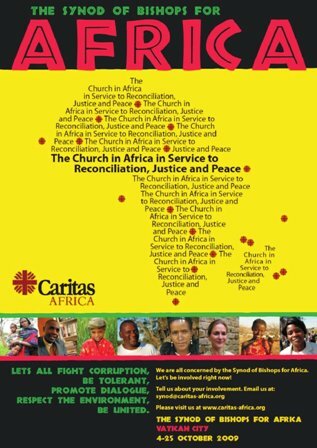 The Synod’s final message to the Church in Africa urges the people of Africa to work together for the continent’s political and economic future. The bishops delivered a strong message against corrupt Catholic political leaders in Africa, calling on them to repent or quit public office and stop ruining their countries. On going crises in Somalia, Southern Sudan, Darfur and Democratic Republic of the Congo were singled out. On HIV/AIDS, the Bishops, through the final document message, highlighted how the church has been involved in this ministry with love and care and applaud many people who take care of the infected and the affected in our land. The Bishops have also expressed great concern on the destruction of Africa’s environment. The Synod for Africa has just ended but the work on the issues raised by the Synod begins now. More information visit Yes Africa Matters.